WHERE IN THE WORLD DO YOU WANT TO GO NEXT? If you're like us, you love the excitement and adventure that comes with travel. Perhaps you've been wanting to take a trip to Europe, or are intrigued by the adventures to be had in New Zealand. Maybe you're a beach bum that craves a trip to the Caribbean or that once-in-a-lifetime experience to Bora Bora. Wherever that travel itch is pulling you, we're here as your trip planning resource. We've personally traveled to over 70 countries on all 7 continents and have planned group and personal trips worldwide. We want to help make your trip unbelievable and most importantly, easy to plan! Let us know what type of trip you want to take and leave the time-consuming research up to us. Here's a look at a recent trip to Cuba for a little inspiration! 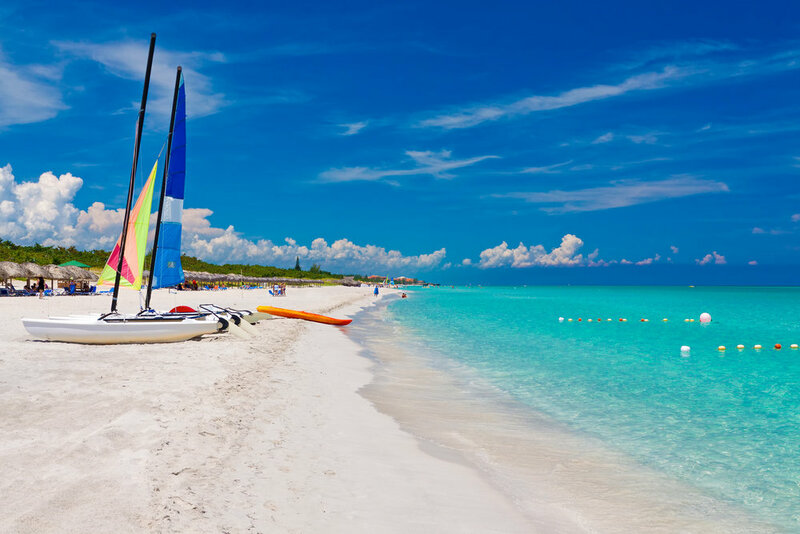 The perfect mix of relaxation, adventure and engaging with the friendly Cuban culture. Cuba has been forbidden to Americans for decades, but the figurative gates have opened! In a place with little tourist infrastructure, we've got you covered - from where to stay, what to do and how to experience the best Cuba has to offer. You're sure to feel like you've entered a time capsule of incredible classic American cars, a contagiously lively culture, and many moments of awe away from the billboards and screens we're so used to. Get ready for an authentic trip while being immersed in this colorful country. From turquoise water beaches to Jurassic Park-like valleys, Cuba has just what you need to feel worlds away, while still being close to home.